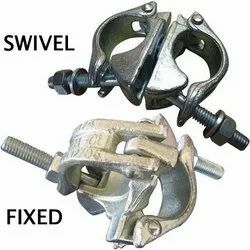 Leading OEM Manufacturer of scaffolding clamps, scaffolding ledger pipes and scaffolding sleeve coupler from Hyderabad. Available in Swivel Coupler & Fixed Coupler. We are leading in supplies of Scaffolding Ledger Pipes in all leading Constructions & Infra Structure Departments. Looking for Scaffolding Equipments ?